50 Reasons To Move To Hawaii! Navigation:Home/50 Reasons To Move To Hawaii! Why Should You Move to the Hawaiian Islands?? Here Are 50 Amazing Reasons to Move to Hawaii! 1. Completely Change Your Life! You’re still in the USA, so normal creature comforts that you are accustomed to still exist. But the opportunity to radically change your life and breathe new air so to speak, is right in front of you if you choose it. You can change not only your home location, but your friends, your career, your hobbies, the food you eat, you can increase the exercise you do, lose weight, learn something completely different. There are so many opportunities for people to change their lives from black to rainbow that it deserves a whole chapter in our next book! 2. The Mai Tai’s are KILLER! One of the greatest alcoholic drinks ever made, are made very, very well in Hawaii. I don’t think I ever had a bad mai tai in Hawaii! 3. SHOP Until You DROP! If you’re a shopping fanatic, you’ll be right in your element by moving to Oahu. The island has fantastic shopping opportunities and the other islands are nothing to sneeze at either! Shopping options. 4. Good Private Schools for Kids! There are some very good private schools for kids of all ages in Hawaii. Our president went to one of them! While I wouldn’t recommend anyone bring their kids to Hawaii if they cannot put them in the private school system, if you have the money – you’ll find a number of great choices for schools on Oahu, Maui, and Big Island. 5. Best on the Planet Snorkeling and Diving! Well, in my own opinion. The warm water, the plentiful reefs, fish, turtles, whales and barracuda make the islands a great place to spend a lot of time in the water. See snorkeling in Hanauma Bay! 6. Unsurpassed Natural Beauty! See images here! 7. It is EASY to Find New Friends! Many people are new to the islands and are looking for friends, just like you will be when you arrive. If you make half-an-effort, you can definitely find friends you enjoy spending time with. Hawaii is one of the most social places I’ve ever been – one of the great reasons for moving to Hawaii when you can swing it. There’s something about sharing simple things like surfing, a walk on the beach, a picnic, or a hike through the hills that brings people together naturally. Finding friends, social life in Hawaii. 8. Unmatched Laid-back Lifestyle! At least in the USA, you won’t find anything like the casual approach to work and life as you will in the islands. There is an appreciation of the place by residents that transcends the importance of living. The seriousness of work is pushed to the side as people embrace the wilderness, the stunning beauty of the islands. More about what the lifestyle is like. 9. Bodyboarding or Surfing Big, Perfect Waves is something one never gets used to. It’s a mind-blowing experience every time. Read about my two near-death experiences in big waves! Lani Kai Beach and the Mokes. Sounds like a band, right? Families relax at Bellows Beach on the northeast coast of Oahu near Kailua and the marine base, Kaneohe.10. Pacific Ocean Blues – the shades of blue of the Hawaiian waters are fascinating. Look at the photo above. The blue at Bellows Beach is really like that! 11. Low Emphasis on Money! Let me explain… There are people living on the islands that have more money than congress. They have decent homes and houses. The rest of us are not really that concerned with the house we live in or the car we’re driving. There is less emphasis on this sort of thing because there are so many people that just cannot compete, so they don’t try. It’s a great excuse for you to drop out of the rat-race too and downsize what you need. There is something to be said for the “Less is more” and minimalist attitudes. It feels great once you get into it. Save your money for inter-island or trips back to the mainland or abroad! Minimalist living in Hawaii. 12. Long Winding and Endless Trails – leading to remarkable views of the coast and ocean surrounding the islands. There are more than 50 hikes on Oahu alone, you won’t ever get bored, you can do one each weekend. Appreciating the land is key. Image Copyright CyberCom, Inc.
13. The people of Hawaii are beautiful! The spirit of Aloha permeates the culture and you feel it nearly everywhere you go. 14. Living in Hawaii is MAGIC! There is something about living in the Hawaiian islands that is just magical. What is it? Find out here. 15. No Vehicle Needed! If you’re single and you can either land a job in Waikiki or in town, you may not need to own a vehicle at all. The Bus is a great resource to have for getting around and has regular schedules most people find very useful. Can you imagine being able to save on a car payment, gas, insurance, and maintenance of a vehicle? Even if only for a year, you can save $5,000 minimum. I know people that walk all over town and Waikiki. I know people who take bikes and even skateboards. If you want to explore other parts of the island on the weekends, just rent a scooter! 16. Local Hawaii Food! Local food doesn’t just mean Hawaiian food but local Korean, Japanese, Asian fusion, etc. There are so many different great foods to choose from in Hawaii, you could never tire of the choices of cuisine available to you. I tend to eat a lot of mahi-mahi sandwiches, ono (wahoo fish), ahi poke, huli chicken, Korean BBQ, Thai, and of course pizza from some of the amazing pizza shops. 17. Great Workouts! One of the best exercises for your body is climbing stairs, or climbing up steep paths. On Oahu there are many trails through the forest, but even more intense is a climb up the Koko Head stairs which rises about 900 feet into the sky. The views at the top are stunning. Do it a couple of times if you’re really fit! It’s hard to beat stairclimbing outdoors! 18. Where You Are Living Now Cannot Compare to Hawaii! I can’t think of another place in the USA that compares in any way to spending life in Hawaii. I just can’t. I mean, Key West is laid back, sure. But, there is very little natural beauty. No mountains. No volcanos. Boulder, Colorado has mountains. The temperatures there are anything but tropical. There’s no ocean. No dolphins. Few rainbows. Some places in California have the amazing Pacific Ocean and some mountains. They also have tens of millions of people more than Hawaii. Hawaii is an oasis. Come on out for a year, or a lifetime. See what you’ve been missing. IMGP2556 copy by WeedPornDaily is licensed under CC BY 2.0. Image may have been resized or cropped from original. 19. The Ultimate Job – Growing Marijuana in Hawaii is Coming Soon! Coming soon to an island near you, Hawaii has passed new laws in 2015 and legal dispensaries of medical marijuana will most likely open up in the late 2017. The island’s residents are dying for it. More info. And more. 20. More Affordable Than You Think It Is! There is a saying that Hawaii is as expensive as you make it. You could buy $4 Dasani water bottles or just the 90 cent alternative. They all go through the same health checks. You could buy $2 bananas in Waikiki, or get a bunch for $3 at the morning food market. You could dine at Roy’s for $100 per person, or grab something from the mobile food trucks that locals love. You can eat for a fraction of what you would at a nice restaurant. Cost of living in paradise. 21. $140 Inter-Island Flights! This happens occasionally, and it’s taken advantage of by a lot of Hawaii residents that were just waiting for it. Occasionally you might get super lucky and find a special like sixty-dollars for inter-island flights. Hard to beat that, but keep in mind it’s super rare! If you lived in Hawaii you could be taking advantage of the best inter-island travel deals because you’re there and can go almost anytime. 22. Cozy White, Black, and Pink Sand Beaches! Hawaii’s beaches are almost always clean, well-maintained, and safe for swimmers and snorkelers. 23. See EVERY Beach! All of Hawaii’s beaches are public, and owners of land around them must provide access. Not so in some tropical areas of the world! If you live in the islands you can take your time and see all the beaches your heart desires. 24. Year-round Perfect Weather! If there’s one thing that really makes Hawaii one of the world’s perfect destinations, it’s the picture-perfect weather and temperatures. Sure it rains, but it’s sunny again in a few minutes. The winters are short and the temperatures drop a bit to really cool things off. I can’t think of a location with better weather and temperatures across the world. 25. What Better Place to Work Online? If you’re working at an online business, or have some work you can complete online or on your computer at home – what better place to do it than in Hawaii? This is something I’ve seen people doing for many years. I lived next to a computer programmer in a Hawaii condo in early 2016. He worked from 5 a.m. to around lunch time. Then he was out at the beach surfing Waikiki, Ala Moana, or Diamond Head. Ahh, the perfect life, right? 26. If You’re Retiring and Have Money, There is NOWHERE ELSE Better to Be! If you have enough saved for retirement, I don’t think there’s a place on the planet that will keep you happier than one of the islands in Hawaii. You can have everything you want, and then travel to get away when you need to, in order to avoid “island fever.” Have the best of all worlds, and retire right here in this Pacific paradise. One of the best reasons to move to Hawaii is retirement! 27. Clean and Refreshing Air to Breathe! I’ve lived a few places now, and I haven’t found better air quality than in the Hawaiian Islands. Sure there are places the air isn’t so good 100% of the time, like VOG (Volcanic fog) on the Big Island, or fumes from traffic in Waikiki, but outside of these places there are a whole lot of locations with air as good as it gets. Come get yourself some! 28. These 5 Smells! These are some of my favorite things to smell in the islands! 29. Happy People! There are more happy people in Hawaii than anywhere in the USA. At least some surveys have said that. Hawaii breeds smiling, happy people. Sure there is racism, people barely earning a living that are struggling to survive, but overall I think there are more people happy and grateful for what they have in Hawaii than people elsewhere. Come out and see for yourself. Let me know what you think. 30. No Snakes! The Hawaiian Islands are empty of dangerous snakes. There is one little completely harmless snake, the Brahminy Blind snake, but not only can it not see well above ground, but it couldn’t bite if it tried – the mouth is much too small. 31. Aloha Shirts and Muumuu Dresses! Want an excuse to dress down and wear something cool and comfortable instead of a long-sleeved shirt and tie or stiff suit? Somebody was really thinking in Hawaii because Aloha casual dress is OK for just about anything. 32. Choose a Hermit Lifestyle, or Fun Filled Nightlife! Hawaii has something for everyone. It is perfectly feasible to move to the islands and lock yourself away in your own private haven for reading books, practicing yoga, working on a farm for room and board, and dropping out of society. It is also just as easy to move to Oahu and party every night in Waikiki. Up to you! 33. Rainbows! A couple times a week, you will probably see rainbows while living in the United States most rainbow-packed state! Depending where you live, you might see a rainbow almost daily. I lived over past Lahaina, and I worked there in the small town. I saw rainbows daily near the West Maui Mountains in Lahaina. It’s an amazing, and magical place to live! OK, you know what a rainbow is… but What’s a MOONBOW? 34. Outdoor Adventures! Water skiing, jet skiing, para-sailing, para-gliding, hang-gliding, kite-surfing, boating, yachting, snorkeling, diving, swimming, bodyboarding, surfing, bodysurfing, free-diving, spear-fishing, shore fishing, fishing from cliffs, hiking, road running, ultra-running, hashing, biking, beach volleyball, kayaking, triathlons, biathlons, hunting, motorbike riding, off-roading (trucks), archery, dancing, sunning, finding shells, booze cruises, etc! IMG_7365 by Ankarino is licensed under CC BY 2.0. Image may have been resized or cropped from original. Golfing on Kauai Island. 35. Endless GOLF Until You DROP! There are few places in the world, no wait. There isn’t a place in this big world that even touch the number of pristine, perfectly laid out golf courses we have in Hawaii. Check out our HUGE Golf Section here. 36. Spectacular Sea Life! Whales just off the coast, or a short boat ride away. Eels in just six feet deep water off Maui. Reef fish, octopus, and sea-turtles all within reach! Exploring Hawaii’s amazing sea-life is one thing you might get accustomed to doing when you have some free time. 37. Once You’re Living in Hawaii, It’s So Much Easier to Move to Another Island! What some people do is start out with a move to Oahu and use it as a jumping off point to explore the other islands. Some decide Oahu isn’t exactly what they were looking for, and move to one of the other islands – usually Maui or Big Island. 38. Where Else Are You Going to Learn Big-Wave Surfing? New Jersey?!! Ramon Navarro by 13584435@N00 is licensed under CC BY-NC 2.0. Image may have been resized or cropped from original. 39. Stress Free Weekdays! After the workday is over your group might get together at a karaoke place, a restaurant, a beach, or just sit around the office and chill out a bit, drinking a beer and eating snacks or dinner. Pau hana! Is the little after work celebration that you all made it through another day. It’s a cool tradition, and some people take it to extremes, but usually there is a small group from each business that hangs out a bit after the workday and blows off some steam. This is part of a great tradition. 40. Even MORE Stress Free Weekends! Picnics in Waimanolo or at Ala Moana Beach Park is the norm on Oahu on the weekend. Usually a mix of family, friends, and co-workers get together and drop in on each other’s picnics. Good food, beer, and pupus! 41. Hawaiian Music! Did you ever hear of the Ka’au Crater Boys – Kawika? Click the link to hear one of their amazing songs. These are some of my favorite Hawaiian singers and maybe something you haven’t heard before. 42. Hawaiian Luaus! Given the choice between a night on Broadway in NYC, or sitting down on the ground at a luau in my Aloha shirt and slippahs, I’ll take the luau any day. Luaus are just great fun, whether you live in the islands or are just visiting. Sunset On Magic Island by Edmund Garman is licensed under CC BY 2.0. Image may have been resized or cropped from original. 43. Mind-blowing Sunsets! I think people just naturally start taking a lot more sunset photos while living in Hawaii. I mean, you might not even own a camera, but then after a few mind-rattling sunsets, you go buy one like everyone else and shoot ’em! 44. You Will Never Know What It’s Like Until You Live Here! That’s the truth, there is nothing like it, so nothing you could compare it with. If you can afford it without much problem, I strongly advise you to pack your bags and come over for a year and see what you think. Explore the other islands – Kauai, Maui, Big Island, and even Lanai and Molokai. See what might fit your lifestyle the best. There is an island for everyone. Hopefully for you too! 45. Nature’s Fan! The near constant tradewinds blowing across Hawaii keeps us all cool enough that most of the time we don’t even need the air conditioner. Well, once you get used to the heat anyway. You can’t go from Minnesota or Vermont to Hawaii and be in your element right away. Give yourself a year, your blood thins a bit. After ten years of living on-island, you might never turn on the air conditioner at all. Honu invasion by 97653236@N00 is licensed under CC BY 2.0. Image may have been resized or cropped from original. 46. Slippahs 24-7! Chances are, depending where you work, you can wear your sandals (flip-flops; slippahs) all day and night. 47. The Diverse Land Areas! Each island has a number of different terrains and ecosystems. There are places it rains often, and places that are dry. There are places that are often sunny, others that are often cloudy. There are hills on one part of the island, and it’s flat in another. There are ocean cliffs and mountain peaks. There is forest and desert. Hawaii’s land is quite diverse. 48. Hawaii Residents Love It! Nearly all of our respondents at our Hawaii Residents Survey revealed that they loved living on the islands. By far the thing cited most often as reason for wanting to continue to live in Hawaii was the weather. The weather really appeals to people! 49. See and Do Things You’ve Never Imagined! There is so much to see, that you won’t see it all in a year. Unless you had a jam-packed year of just visiting attractions, beaches, special places in the islands, I don’t think you could do it in a year. There is so much to see and spend time doing. Blowholes, sea caves, toilet bowls, rocky cliffs, cliff-diving, hiking to mountain peaks on all the islands, seeing barracuda up close as you snorkel or dive. There is SO MUCH to see and experience! It’s worth moving to Hawaii just for this reason. 50. The 50th and BEST REASON to Move to Hawaii? BRUDDAH IZ LIVED HERE! Come on, you know Bruddah Iz – Somewhere Over a Rainbow? That guy! Still want to move to Hawaii? Find out if you’re ready and take the quiz. Oh, and here are 12 Reasons YOU SHOULD NOT Move to Hawaii! Glad to see the positive reasons. Much better than she negative reasons article. Everything is a mindset. Either you have a positive mindset or a negative mindset. I choose to have a positive mindset about Hawaii. Those who have a negative toxic mindset should not move here. I agree completely on the general idea of “mindset” but I don’t think most people knowingly consider their mindset as negative. Most people think of themselves in a positive light. Which is why more people move back to the mainland that move to Hawaii every year: people come here with positive mind sets full of hopes and dreams only to experience something very unexpected. Wow so much good info! Thanks! After doing some research myself: it appears that East Hawaii on the Big Island is the least expensive area to buy. I entered “Puna” into sites like Zillow and Trulia and found tons of nice homes between 200k and 250k, some even come fully furnished, so the moving part is easy! What’s neat is that it’s still only a max 90 min drive to the touristy resort areas on the Kona side, though I’m attracted to the wilder coasts of Puna myself. I’ve also read that the population on Big Island is much less dense than on the other islands and they say that people really live with Aloha in Puna: open, friendly, no rush, respectful to all cultures, even seniors and us regular, not-wealthy folks. Sigh. I’m still working on the dream. I don’t think you’re getting a well-rounded story on Puna. The first reason to move to Hawaii really hit me hard; it will completely change your life. I want a fresh and completely new start. My life has been miserable and I am ready to leave it behind. I will be sure to move to Hawaii as soon as I possibly can so I can be happy again. Thank you so much for sharing this painful experience and I hope you’ve found peace with your true love. It’s all nice but I’ve checked and it gets dark at 6pm even in summer, I don’t think I could take it, I’m used to sun setting at 9pm in summer. Where did you get that from? We get 13 hours of daylight in summer and 11 hrs of daylight in Winter. Midwest by comparison gets 15 hrs daylight in summer and 9 hrs of daylight in Winter. It just depends what your preference is. If your sun sets at 9pm in summer it sets at 4pm in Winter. Sunset at 6 is ok if you plan on going to sleep at 8pm and get up at 5am but doubt many people do that …although maybe they do in Hawaii, having read on your other list of “12 reasons why not to move to hawaii” how terrible traffic is over there. Yes this is more accurate. Spain gets 14 hrs of daylight in summer and 10 in winter. We don’t observe daylight savings time in Hawai’i. Winter sunset is 5:30, summer is 6:45 to 7:15. 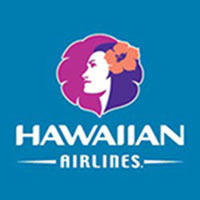 No magic way other than tracking flights through Google, etc but if you’re thinking of relocating and expensive airfare is going to “break” you, Hawaii will probably be far too expensive if you want to maintain your current lifestyle. Me and my fiance absolutely love this site and this article. It has been our dream for years to move out to Hawaii, but after recent events it’s probably not in the cards for us. If anyone could take a moment and read our story it would be greatly appreciated. If you feel compelled, please feel free to pass it along to anyone who might be interested. Aloha. We wish you the very best in your life and future! MAHALO, AND GOD BLESS FOR ALL INFO YOU HAVE SUPPLIED! you seem very kind! Wow! Great story! Love it! Thanks for making such a rich comment! It seems you are not keen on public schools in Hawaii, at least based on your writings. What is it that makes them unattractive in your opinion? Hawaii is ranked dead last in public education when compared to the other states. The DOE in Hawaii is so terrible that I would not advise anyone to raise kids there unless private schooling can be afforded. Did you work as a teacher in Hawaii, or did you have kids going to school there? You have an amazing voice my friend. You sound like a very happy soul. My grandparents told me that they would move to Maui if I moved there first in that they are ensured I am serious about living there. I will definitely look into moving to Maui and learn more about the culture that resides there. I hope to meet you one day. I am a kid living in California, but not on the coast. I’m stuck in the central valley. I learned how to surf when I was around 6, and its my favorite thing in the world. My dad surfs also so we try to go every 2 weeks or so since we are about 3 hours from Santa Cruz. I have been trying to convince my parents to move for about 2 years now, and its always “been a possibility” but my parents always give me lists of reasons why we couldn’t. My Dad would love to, but he just doesn’t really think about it realistically. I’m one of those people that kinda just thinks that life is short and you have to make the most of it, and I’m not looking to waste 18 years of it in the central valley. I’m trying to write a persuasive essay about why we should move, but I cant really think of any other than the obvious. 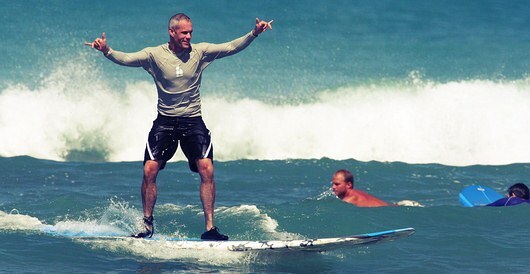 I actually am open to moving anywhere where you can surf, but my top pick is definitely Hawaii. Some of my parents main concerns about Hawaii are the costs and the locals being racist towards white people (my family being blond haired and blued eyed). Is the racism that bad? Also what are some convincing reasons for parents. Also is it safe there? So, I’d recommend against it actually. Sorry. I would NOT bring my daughter there. I have considered it over a couple of years, she is 5 now. I think better to stay in Thailand, or maybe we might go to another country in Asia. Much better environment for her. Yes, you are young and you should listen to your parents (especially now as you are young), but never let anyone tell you that you have to restrict yourself. Keep believing in your dreams, EVERYTHING is possible! What about JOBS? On the mainland, it is a challenge today, hail the USA….the mainland is hectic and changed so much I don’t recognize this country anymore. Perhaps Hawaii is different and more friendly, as friendliness seems to have vanished on the mainland. And now the TPP is going in, more jobs gone, no matter what they say. We need work to move to Hawaii, love your input! Hi Vern, my husband and I are looking for a nice quiet place to live in Hawaii. We have toured around Kauai, and we are thinking of checking out Maui as well. We are looking for 2-3 acres with lots of bamboo and fruit trees. We like the convenience of shopping centers, but want to stay far enough away from the crowd. We enjoy the view of beach, but we are not beach bums. Any suggestions where we should look in Maui? I am a disabled vet who suffers from the cold and wet in Washington state. I only have my disability allowance, which is not much. Are there resources VA etc that would help me to live even simply in Hawaii? HI Vern, I found your comments to be very insightful and helpful. completely as we are hoping to purchase there this summer. Can you suggest a great relator for us? We are thinking of relocating to Hawaii…thinking very strongly that is. My wife is the executive director at her place of business and has 2 semesters left in school to have her Cpa. Me, well, I would just have to look for work. We plan on searching for a house that has solar power, several fruit trees, etc etc..we will grow our own vegetables, make milk from coconuts and live as self sufficient as possible. Do you have any tips as far as making the move, safest areas, great schools for 3 kids? I know there are negatives but then again where are there not negatives? We live in MS and can think of way more negative than positive. Thanks in advance! Sounds like you’re probably going. Best of luck to you! There are hundreds of articles here, indexed at the home page. You could start there. I also have a book on the topic – you can read it for free by signing up to join the newsletter. Aloha! Great website and tips, I am an IT guy as well and planning to make the move to paradise, any tips on jobs? I am also an ex stand up comic and hope there are a couple of clubs there to stay sharp in. Wow! You really nailed it! I absolutely love Hawaii. As a travel writer, I seldom visit the same place more than once because there are so many other places to, but Hawaii is the exception. Here’s something funny that happens when I post about the GOOD THINGS about living in Hawaii, coming to visit, etc. Locals get all bent out of shape and list 10 things that are really a problem about living in the islands. Already, two people wrote to tell me that I’m painting too rosy a picture of the place. WHY? They want to keep Hawaii for their own. The title of the article says it all – these are all POSITIVES about living in the most amazing state in the USA. We all understand there are negatives. I won’t be posting them here in the comments. As someone who lived in Hawaii for 50 years, I can’t believe how unbelievably naive this article is. It glosses over so many topics and ignores the most relevant ones such as the extremely high cost of living, poor wages and extremely high housing costs. A better suggestion is to visit Hawaii but not live there! Naive? The article is what it is – reasons TO MOVE TO Hawaii. I have mentioned PLENTY of negatives about moving to the islands in dozens of articles before. I’m sure people don’t read this and think to themselves, MY GOD! IT’s the most perfect place to ever exist on the earth! Move along now… nothing to see here… lol. I’m glad someone said this. Kudos to you. No one should move here on a lark. Many who do this end up homeless within one year. Homelessness is a huge problem here on O’ahu. Yes, there are plenty of jobs, but the salaries are no good, with the high cost of rent or mortgage, & day to day living. Too many people in Honolulu make for choking traffic with nowhere to park. Outer islands get traffic now too. If I was wealthy, & could live anywhere, it would be Moloka’i island. Moloka’i is the most Hawaiian of all da islands. No traffic, few tourists, slow lifestyle, impossible beauty & romance. Few jobs in Moloka’i though. There are three classes there: Independently wealthy, those who eek out a living doing whatever, & the rest on welfare &/or homeless. My best advice for those of you seeking better weather & opportunity… Try Florida, Hawai’i is full already. Great post Brudda Vern! Ill say 98% of the list I can vouch for except the mai tai and the marijuana one. Both I never tried before so I don’t know about them and cant vouch anything about them. If we could mix Hawaiis lifestyle into the lifestyle in Thailand, I would truly say I was in heaven! Yeah, there are some amazing things about Thailand too for sure Jon! In some ways, Hawaii cannot compare to Thailand – right? But, I think there are more ways that Thailand can, in no way, compare to Hawaii! Both great places though! Hawaii, Thailand, Philippines & Queensland, Australia. I have lived in these places. I like them all, but when I feel homesick, I always return to my beautiful Hawaii nei.